You can use this extra field type to allow users to pin their location. 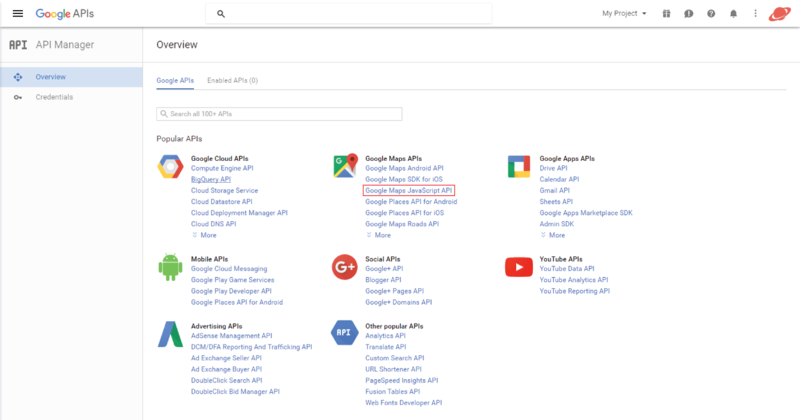 You can specify the field title, meta-name to be stored in the database, description, Google Maps Api Key, default latitude, default longitude, default zoom level and map height. We will select to Create a new project and click on Continue. Now the API is enabled for our project. 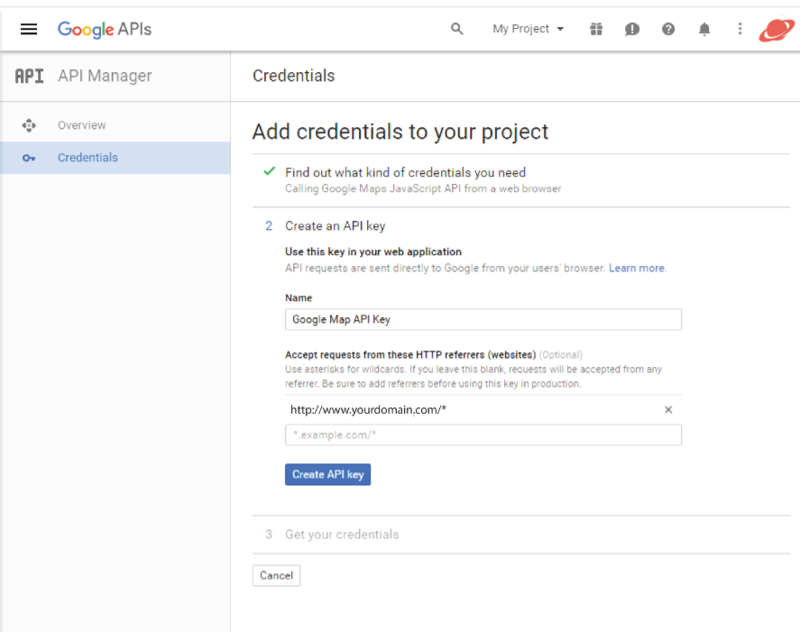 We have to create credentials so we will click on “Go to credentials”. 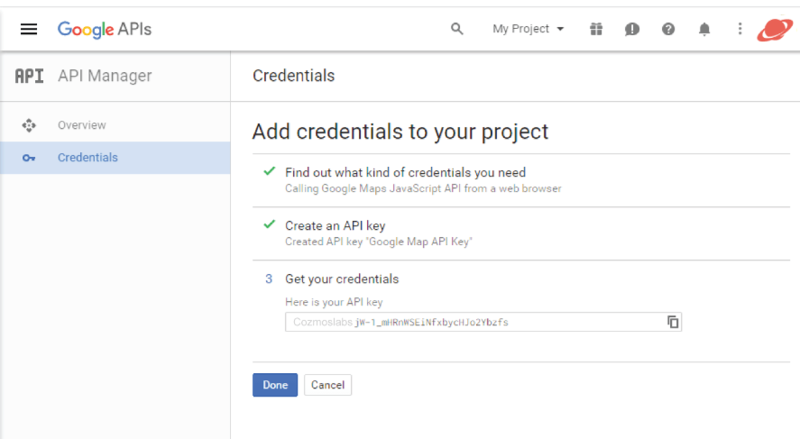 We can give our API Key a Name like Google Map API Key. Also, we can add multiple HTTP referrers so that we can limit map loading only for these URLs. If you wish to allow an entire domain to load the Google Maps you can add an asterix at the end of the URL. Our API Key is now Created. 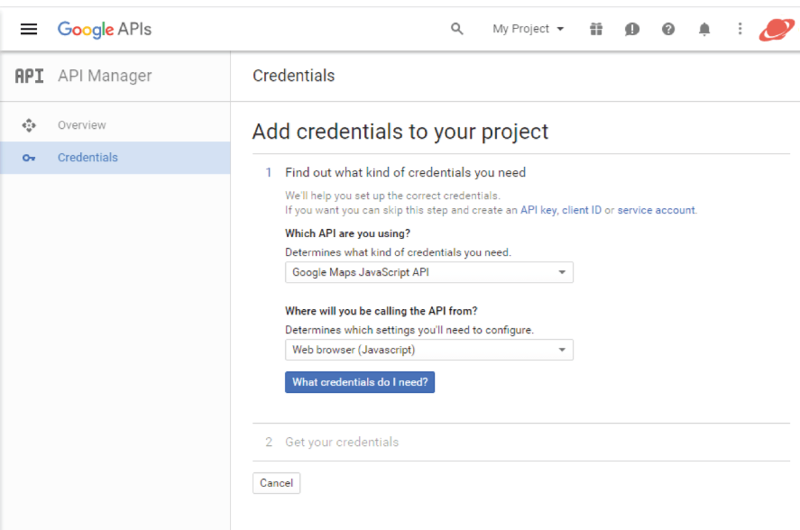 Copy and Paste it in Profile Builder -> Manage Fields -> Map Field -> Google Maps API Key. 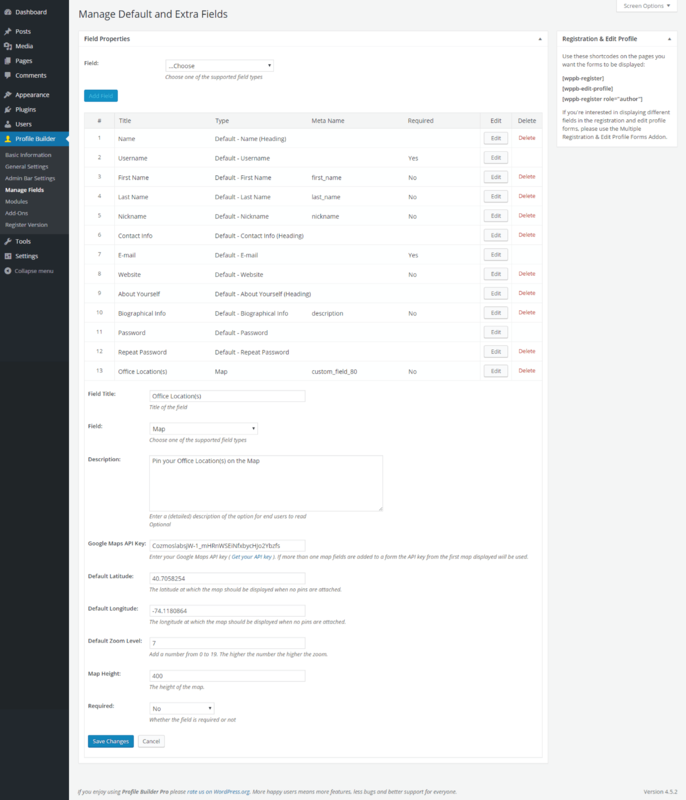 To finish the process and go to API Manager click on “Done”.